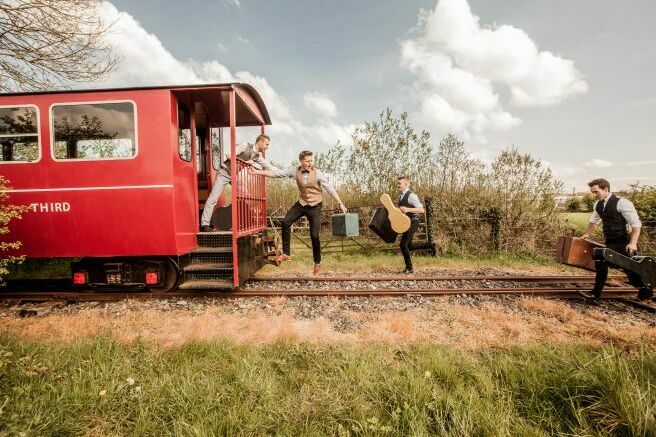 JigJam is a multi-award winning quartet from the heart of the midlands in Ireland. Blending the best of traditional Irish music with bluegrass and Americana in a new genre which has been branded as “CeltGrass,” their onstage energy along with their virtuosic musical ability has captivated audiences throughout the world. "Here's an Irish band that's going to impact the world as hard as Clancy Brothers or U2 if they get only half a chance." This sharply dressed outfit delivers an energy-fueled, foot-stomping live performance. The words sparkling, innovative and infectious come first to mind when you witness your first JigJam show.